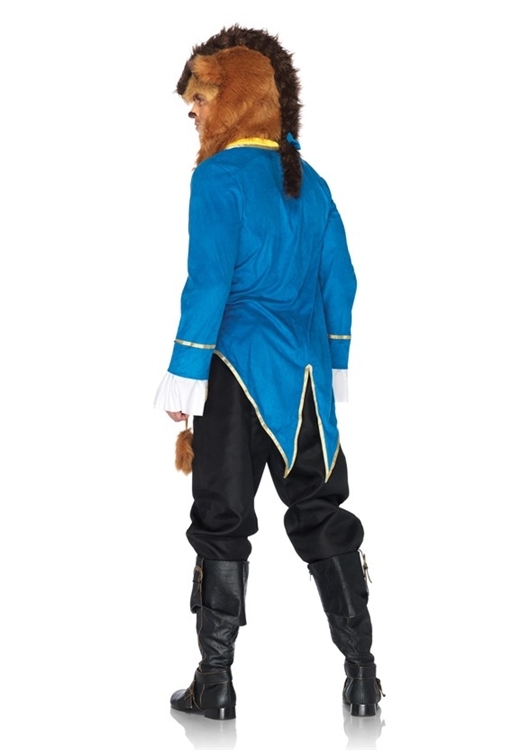 A true classic and the perfect option for a couples' look, the Men's Beast Costume is a licensed Disney movie costume. 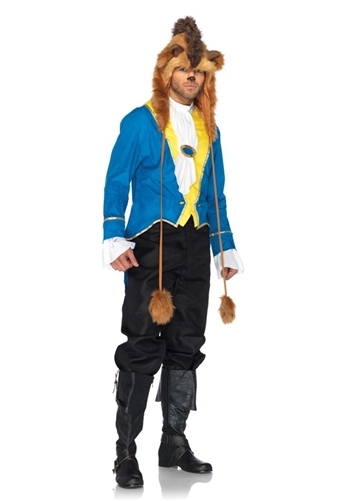 The costume includes the Beast's classic blue and yellow jacket, neck scarf, and furry character hood. Pants are not included. Pair with the matching Deluxe Disney Princess Belle Costume or the Disney Princess Enchanting Belle Costume for a great couples' look. Available in men's sizes Medium/Large or X-Large.